On 8 March 2017, UN Secretary-General, Antonio Guterres joined Kenyans to celebrate International Women’s Day where he emphasized the need to protect women’s rights as human rights and empower women and girls. 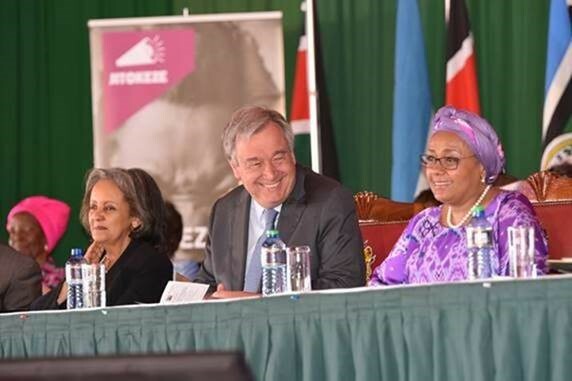 Speaking at the national celebration event in Nairobi, the Secretary-General underscored the need to empower women and girls as the only way to protect their rights and realize their full potential. During the event, first lady H.E Margaret Kenyatta launched the joint UN and Government of Kenya project on the prevention and response to gender based violence. The three year, USD 11.5 million, project seeks to improve Kenya’s legislative and policy environment to address Gender Based Violence, create favorable social norms, attitude and behaviors for prevention and response of Gender Based Violence (GBV).